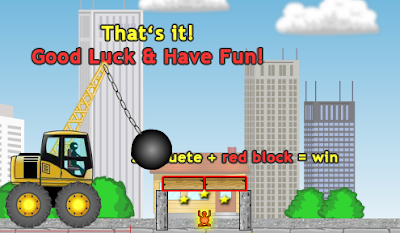 Demologic 2: Level Pack is a fun physics-based game where your task is to drive the crane along the red mark and use the swinging wrecking ball precisely to shatter the given red shapes. Try to bump the golden statue to finish the stage and collect stars for a higher score. This fun brain game is free to play on starfall.